Yuxiang kitchen series like stone kitchen sink, granite kitchen tops, stone kitchen hoods are made by granite and marble. With stone, you have unlimited design possibilities, a variety of edge treatments, and a wide selection of colors. 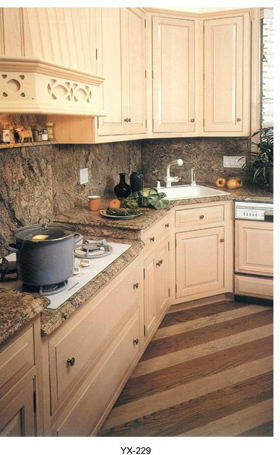 Granite and marble provide an extremely durable and easy to maintain surface. 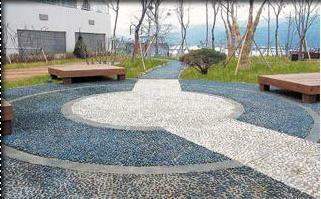 Unlike laminates and synthetic surfaces, stone has the ability to withstand hot and cold temperatures. These characteristics make granite into the perfect choice for your bathroom, kitchen countertop and backsplash applications. Granite kitchen countertop are waterproof, stain-resistant and almost impossible to scratch, and will maintain a diamond-polished looks for years. Hot pans, spills and every-day activities pose no problem and cleaning is as simple as a damp cloth.